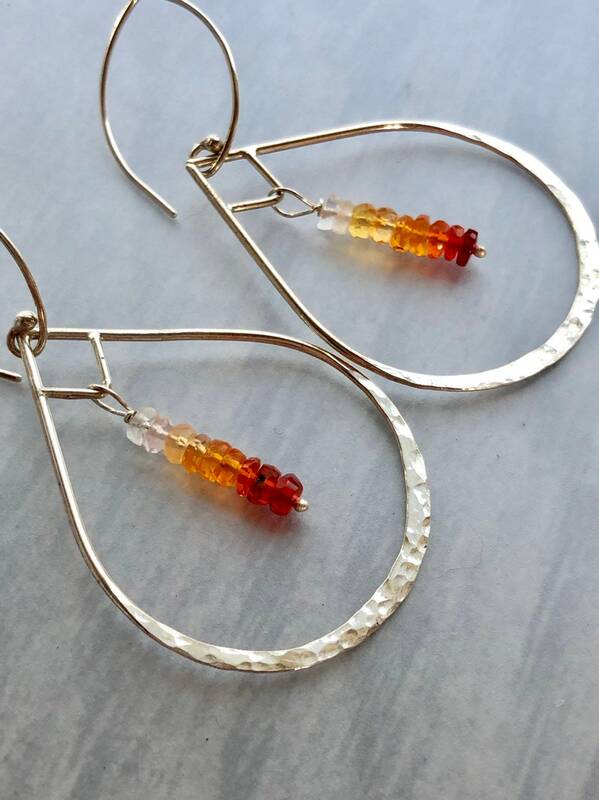 These minimal, elegant, teardrop-shaped earrings are made from 18 gauge sterling silver wire, shaped, hammered, and soldered by hand. 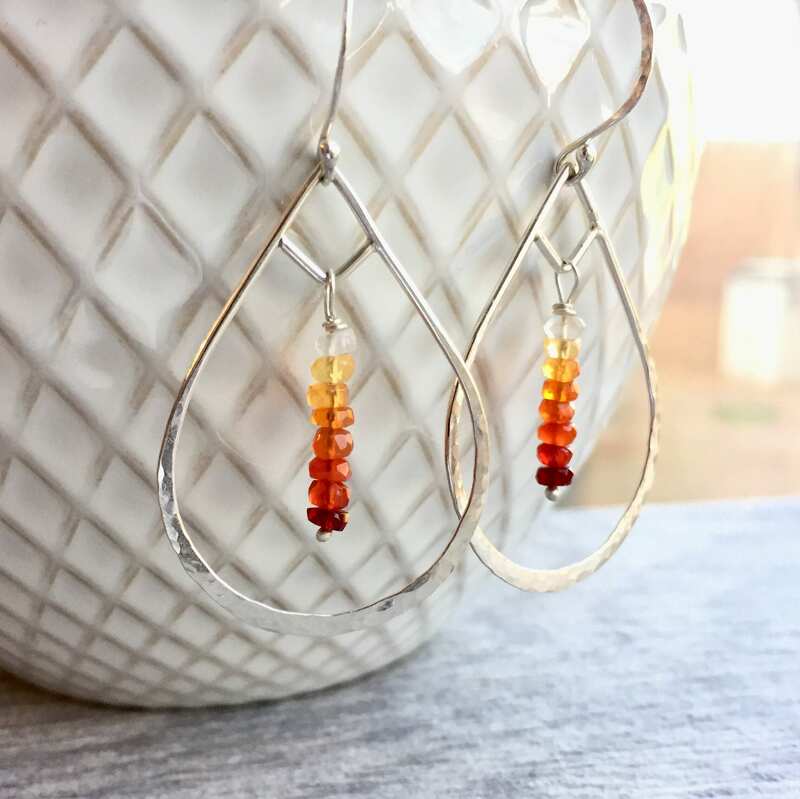 A line of tiny fire opal rondelles hang in the center, colored in an ombre from clear to orange to red. 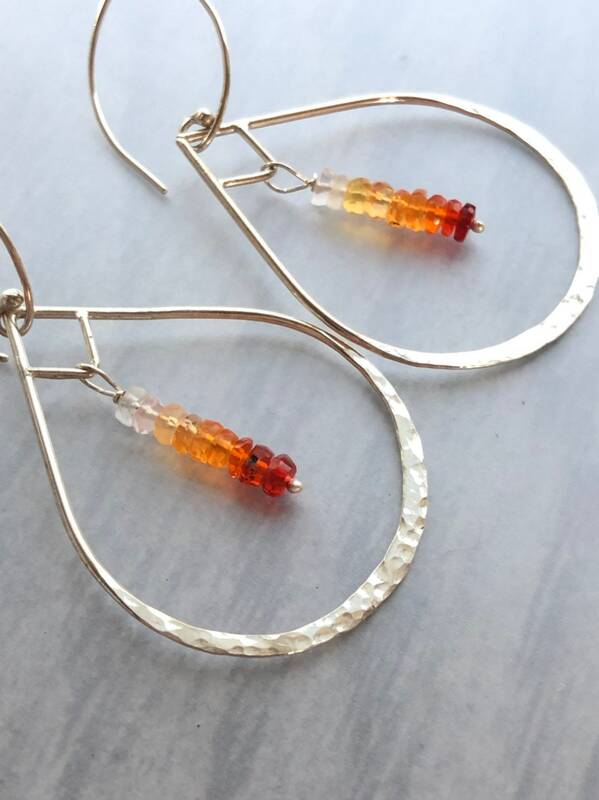 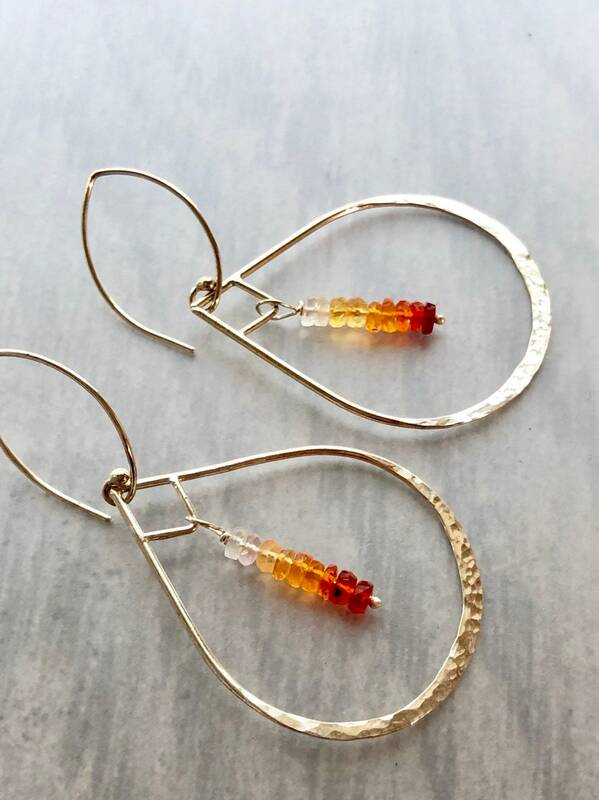 • The fire opal rondelles are 4mm in diameter. 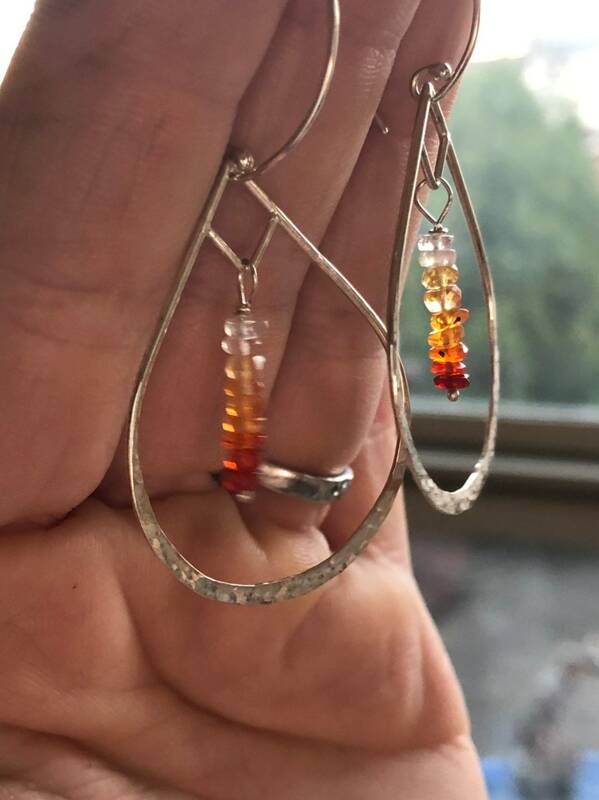 • This style can feature other gemstones as well; contact me with any custom requests.